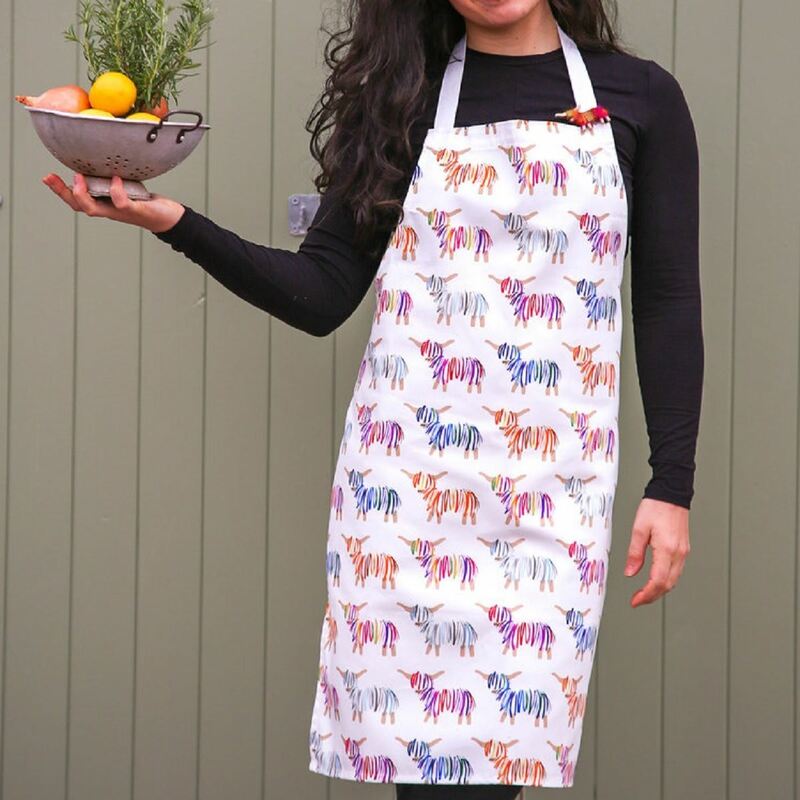 Look stylish whilst cooking in this vibrant highland cow design adult apron. Perfect for the kitchen or a BBQ. Made from 100% cotton in the UK. Hairy Coo range also available as: Coo Tea Towel, Coo Mug and Coo Zip Bag.